I wanted to go somewhere tropical, hot and less crowded for Kayne‘s birthday. We hadn’t travelled outside of Australia in over 6 months! For me travel is far greater than material things, so Kayne’s birthday was a great excuse to escape the Aussie winter and enjoy a beautiful getaway together. 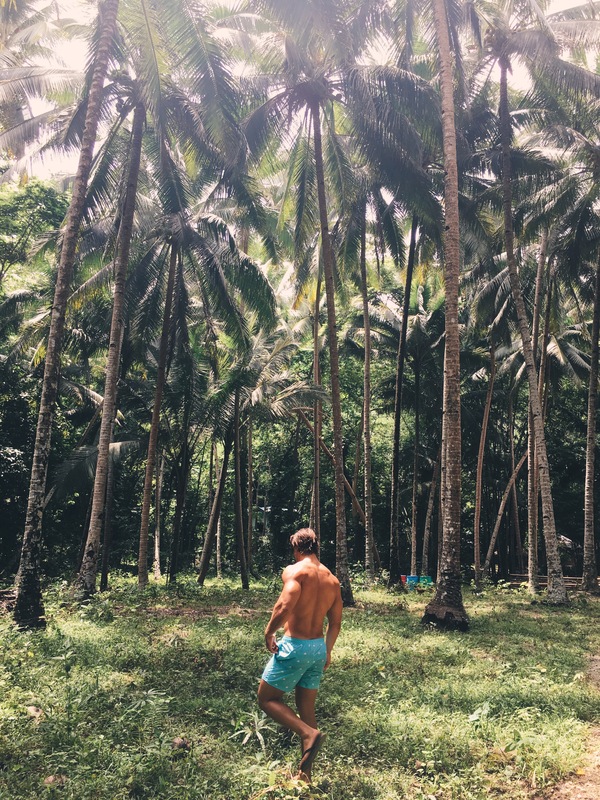 The stunning tropical landscape also needed to be the perfect location to shoot the campaign for my latest limited edition Jaymes Swimwear collection… launching soon. 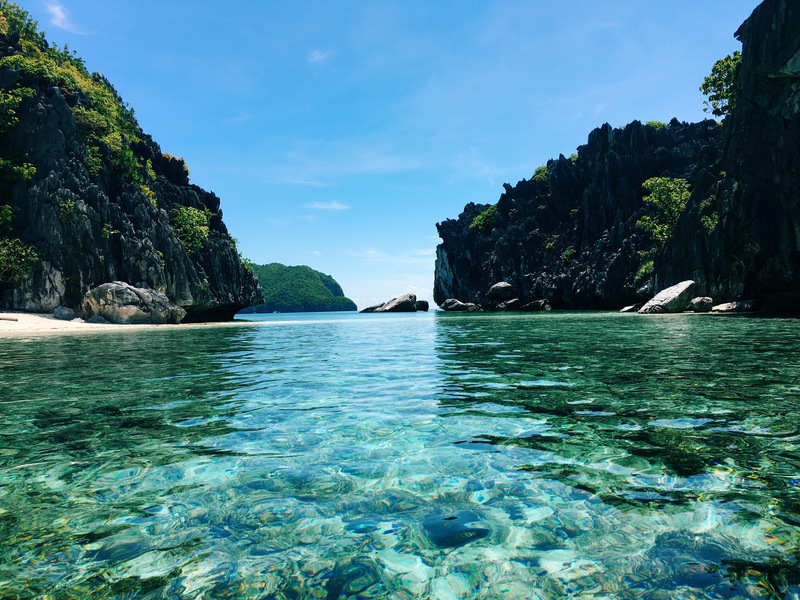 The island nation of the Philippines has always been one of those jaw-dropping places that I was pinning on Pinterest. It looked incredible in the photos online, but now that I’ve been there – photos simply do not do it’s stunning beauty justice! We spent ten days in total hopping between three different islands. 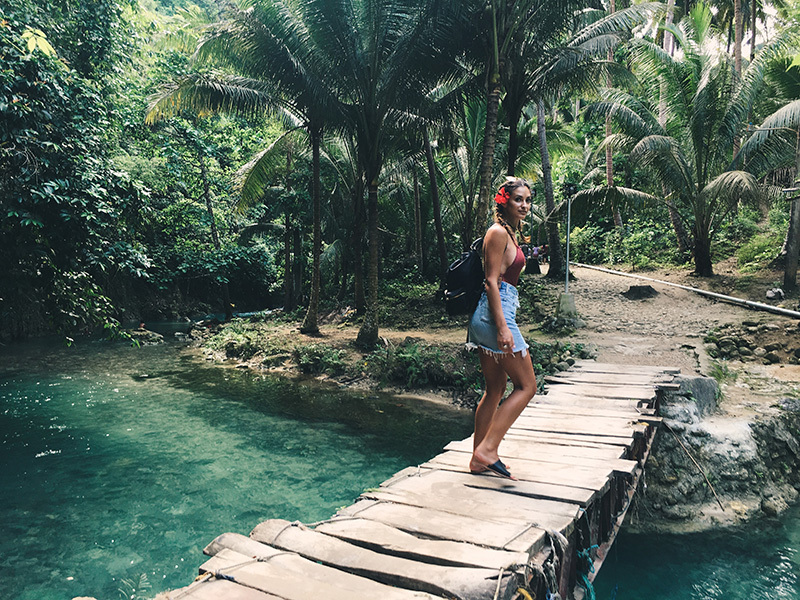 I honestly could have stayed longer and explored more as there is so much to see in the Philippines! We will definitely be visiting again! 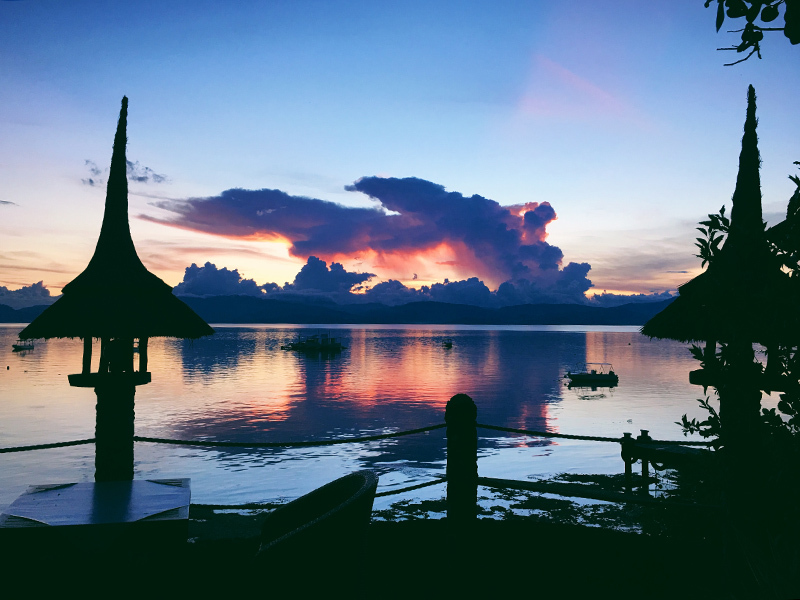 The amazing team at The Asia Collective organised the beautiful Amorita Resort on the island of Bohol for the first part of our trip. After thirteen hours of travel and almost missing our flight from Manila to Bohol by minutes, we couldn’t wait to get to our resort. Arriving at Amorita Resort in the afternoon, the friendly staff greeted us with cold towels and home made iced tea. 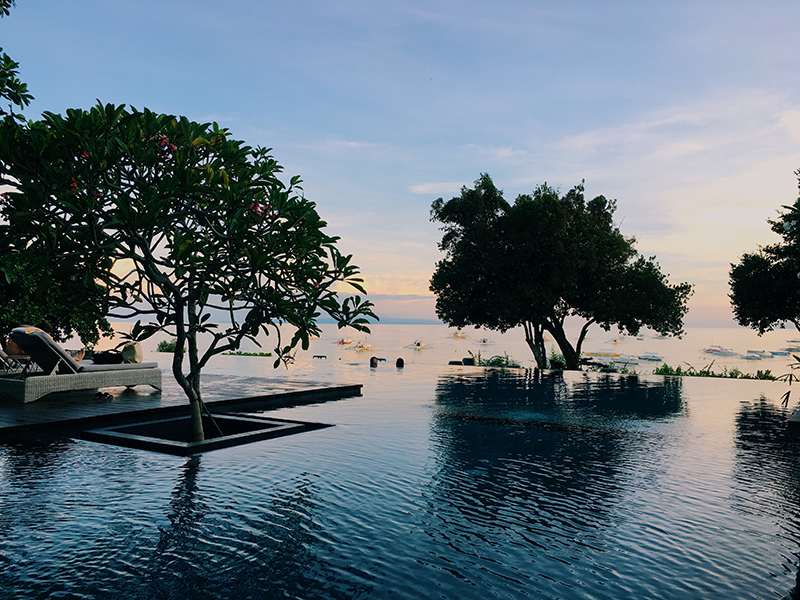 We breathed in the views over the picturesque infinity pool before being showed to our amazing room. 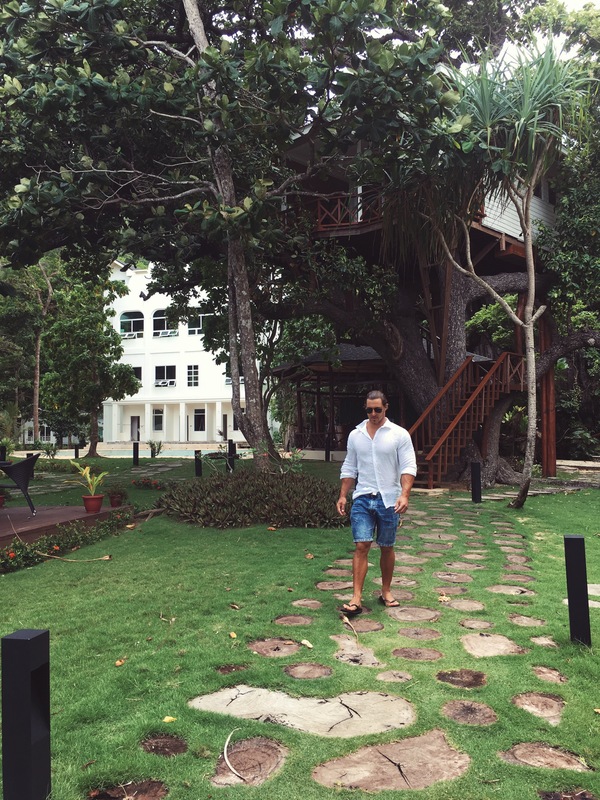 Kayne and I stayed three nights at the Amorita Resort and would have loved to have stayed longer. It was an intimate, luxury resort nestled on the cliff of Panglao Island overlooking Alona Beach. 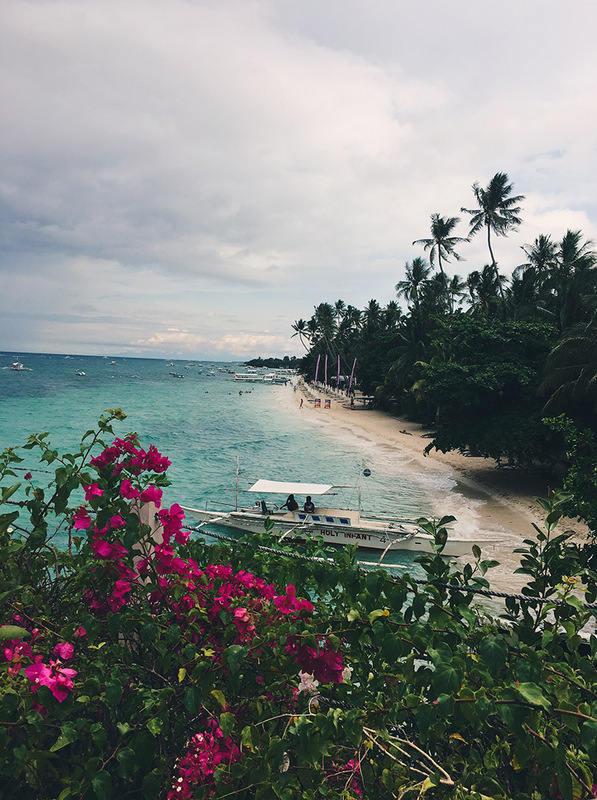 The perfect place to stay in Bohol – you have access to a private cliff-side beach, the local public beach is lined with restaurants and nightlife, and it’s located close by the many wonderful attractions for visitors to enjoy. We were so impressed by the quality of the in-house restaurant food and friendly service of Amorita Resort. 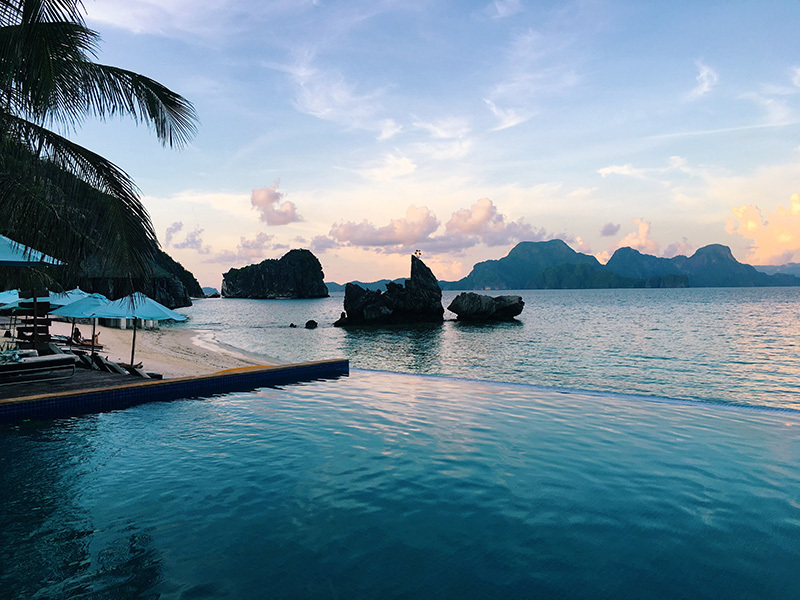 We’ve had the pleasure of staying at many beautiful resorts overseas and this one seriously tops the list! 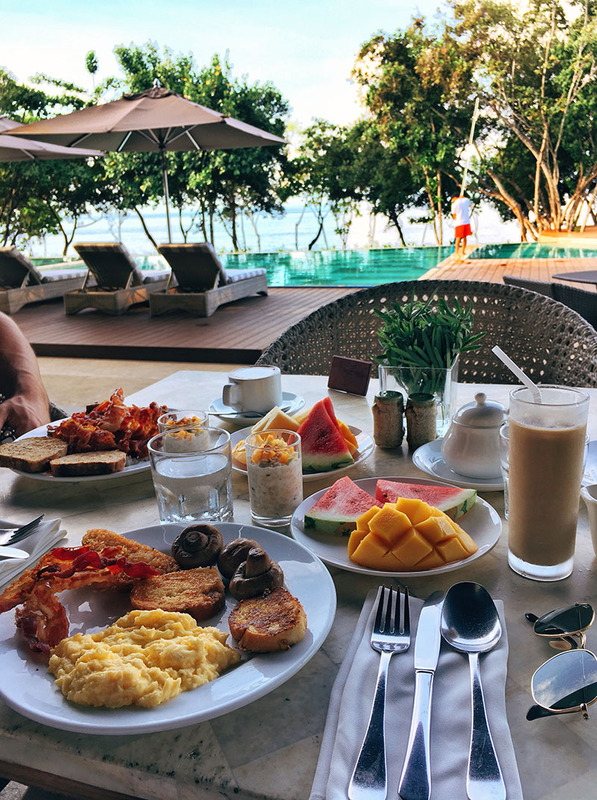 Each morning began with an amazing buffet breakfast by the pool during our stay. Delicious coffee made-to-order, fresh fruit and a range of tasty breakfast options were available – much to our delight! One of the female staff members would place a frangipani flower behind my ear every morning. It was such a beautiful touch. We certainly felt spoilt during our stay. The staff felt like family, the food was to die for, the resort location was incredible, and it was so peaceful! We couldn’t be happier with our stay. Kayne and I highly recommend staying there and visiting the island of Bohol during your holiday to the Philippines. The island of Bohol feels very untouched, the local people were so very friendly and welcoming. 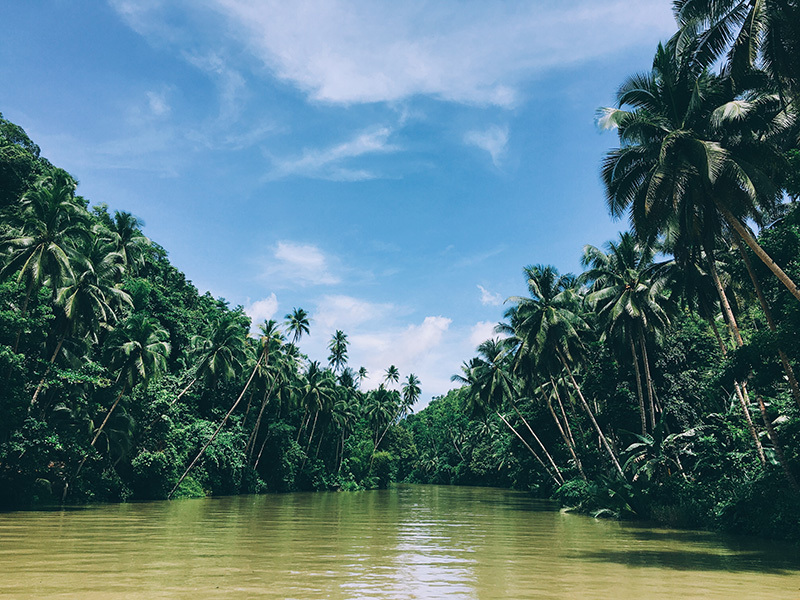 It’s also the home of the Tarsier – a species of monkey known to the locals as mamag. We did a day trip to see these special little creatures. It’s the only place in the world where these monkeys now live, and wow you need to see them – we really enjoyed our experience with them. Apparently, if they get stressed or irritated they bang their heads on the tree until they die, it’s really sad! You need to take great care when in their environment as they are only 10cm tall fully-grown. We also went on a floating lunch cruise through Lobok River. The boat didn’t offer a great variety of food, but the views of the landscapes during the cruise through the river was incredible. The next island that we visited was Cebu. 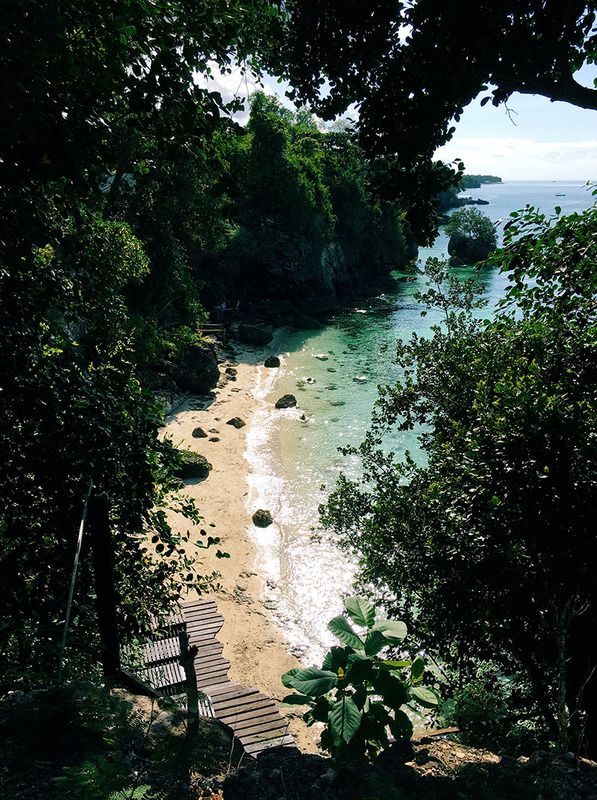 We wanted to swim with the whale sharks and go to Kawasan Falls. We got a ferry from Bohol to Cebu which only took about an hour, and cost just 580 pesos each booking (approx $15 AUD). Our car driver organised this for us. 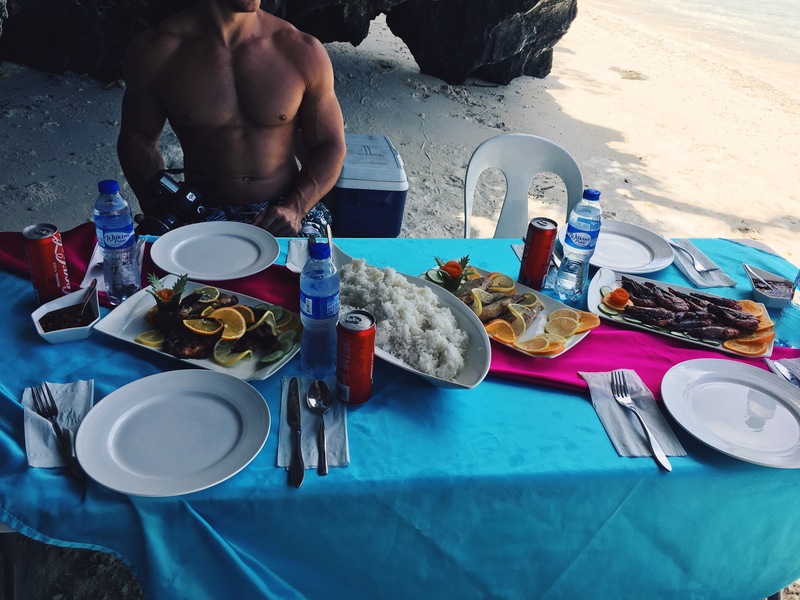 I booked a 4-star resort at Moalboal last minute and to be honest, it wasn’t really for us. It was a beautiful place to watch the sun set but I think the accomodation itself felt overpriced. 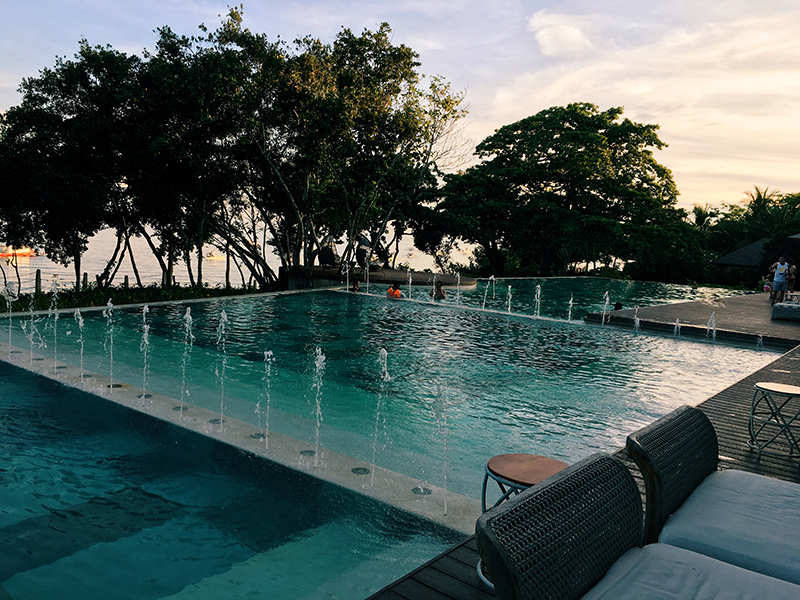 Although, after staying at Amorita Resort, we did have high expectations. On a map Moalboal looked close to Oslob and the falls, but once we got there we realised that there was only one road going around the island so it would actually take 2.5 hours to get to Oslob. We were only staying for two nights, and after catching a bus with no aircon for 4 hours from the airport to our resort, we didn’t want to take another long trip. So we cancelled out on seeing the whale sharks and actually read that the whole experience disrupts their natural migrating habits. If you really want to go though, I would suggest doing a day trip from Panglo Island at Bohol as it’s closer. We organised a tuk tuk to take us to Kawasan Falls early – around 7am. It took about 45 minutes to get there and there was hardly anyone there. This place was just incredible!!! The water is a clear aqua. We felt as though we were in an enchanted forest during the walk to the falls. Tiny birds flew around us, and the local people who live by the falls were so sweet. When you get to the main waterfall you can keep walking up to find more fairy pools. We paid 600 pesos (approx. $16 AUD) to take a ride under the waterfall and sit on the rafts. It was an awesome experience. 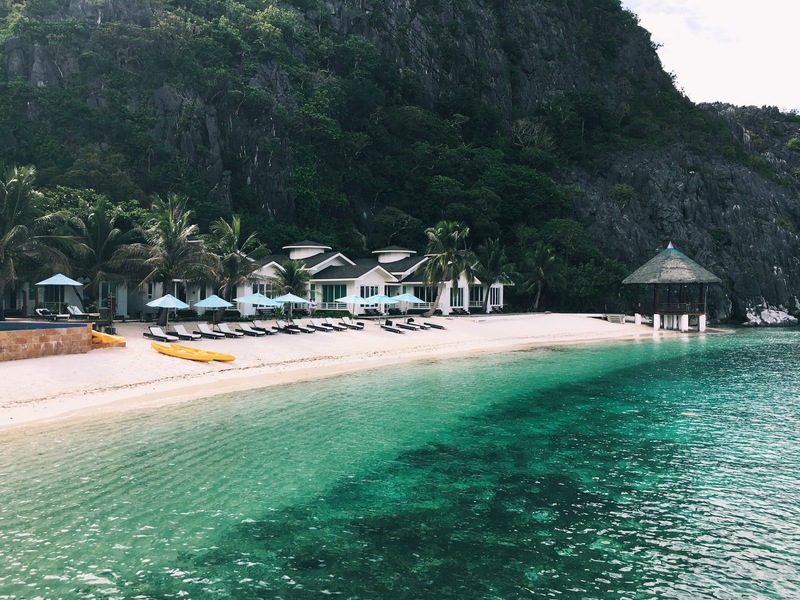 We were so excited to get to “the most beautiful island in the world”: Palawan. 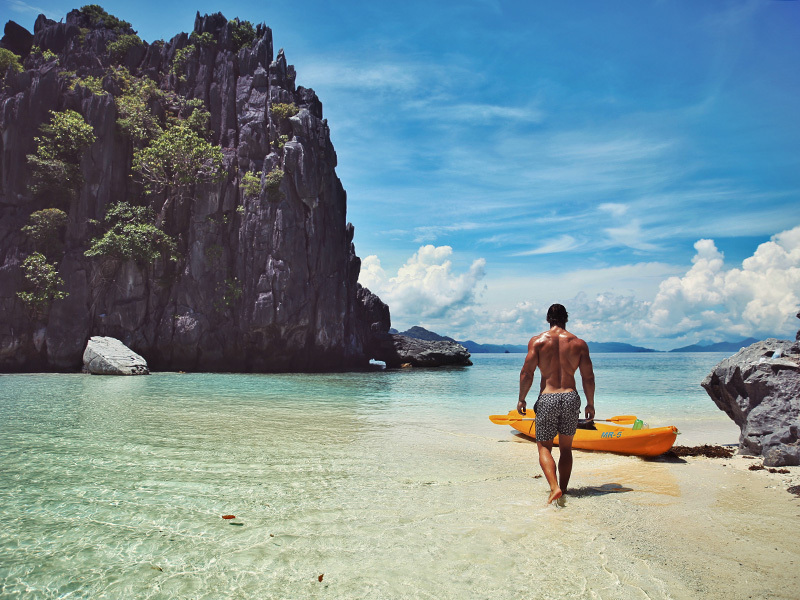 We decided El Nido was best suited to us for island hopping, and visiting the beautiful local lagoons. To get there was a bit of a mission, but it was totally worth it once we had arrived. We stayed at the Mantiloc resort for three nights. This was a private island resort which had it’s own boat that we arrived on. It was so nice and quiet there, the staff were so friendly and they even surprised Kayne with a cake and balloons when we arrived for his birthday. The first day we spent kayaking around the island – this was my favourite day! We kayaked for about an hour and found this secluded beach. The storm was rolling in and the water was this insane turquoise colour. We spent a few hours there just taking in the serenity, and shooting my new Jaymes Swimwear Collection. 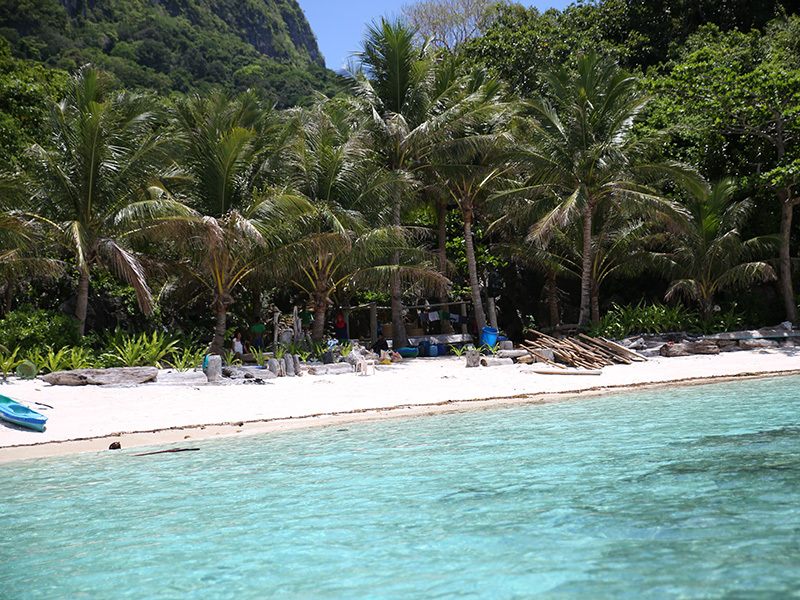 The next day we booked a lagoon tour, this took us to the main lagoons and a few islands as well. There was only four of us guests so it was more of a private tour and super relaxed. They cooked up a beautiful fresh lunch of fish, chicken, prawns and a fruit salad for us to eat on one of the islands. We went snorkelling off the boat, I have never snorkelled in such warm water with such brightly coloured fish and coral. Thank you for featuring the beautiful places of our country! Glad you enjoyed it! Come back soon! Your photos are stunning! Do you collab with bikini retailers? Previous article A change is just what i needed!